This is the first year Colton Viking Junior Football has offered a flag football team. This is the first year that Colton Viking Junior Football has offered a flag football team. Boys and girls pre-kindergarten through second grade are playing the fun game. "It is the biggest team sport we have this year," said Jeremy Baurer, CVJF president. The team plays at halftime of the Colton High School's home football games, and the young players have scored a total of 9 touchdowns in the two games. 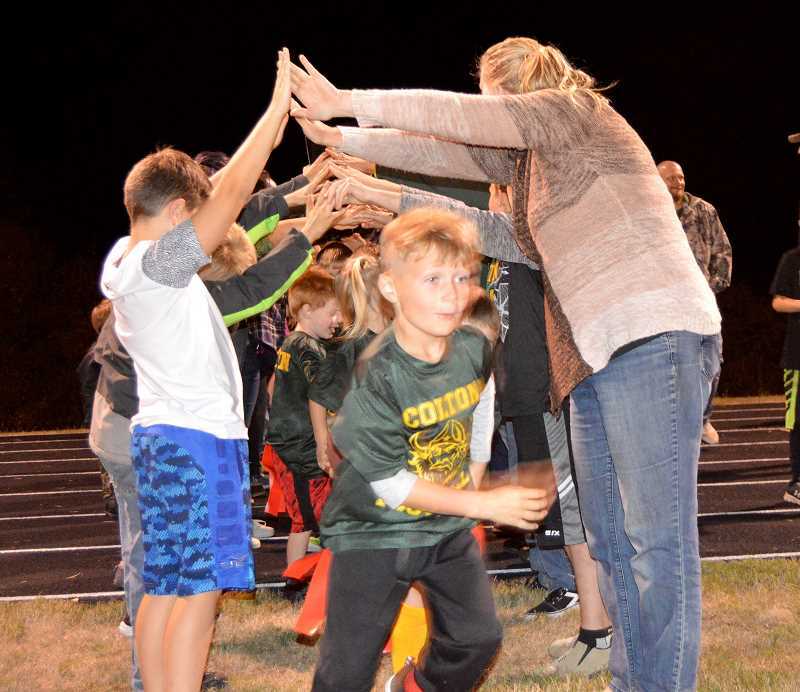 This past game, the visiting team from Sheridan took time to watch the last play, raised arms for the touchdown and gave the flag team high fives as they walked past. The flag crew is coached by Ron Hordichok, Brock Ellis and Nick Kappas. "It is so much fun and every practice is different," Hordichok said. "We are working on basics—offense, defense and helping to kick-start their interest in the game." "I like playing the game and making touchdowns," Leah Holliday, pre-k, said.